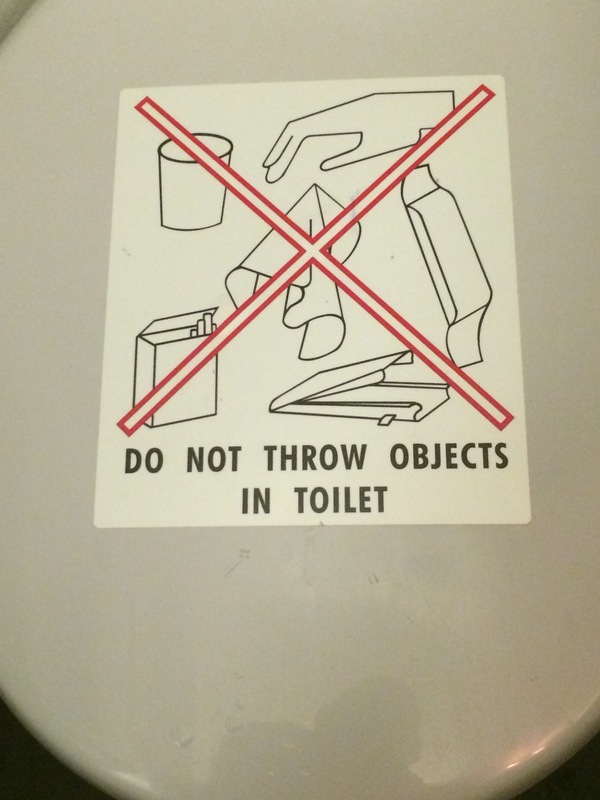 I think someone was thinking of Throw Away, when they crafted this admonition in the head of a US Airways plane. But omitting “away” changes the meaning – and I am not sure it is possible to throw anything, let alone swing a cat, in a confined aircraft head. So I expect people put stuff in it. Or discard stuff. This entry was posted in Pics, Random and tagged Plane Toilets, Throw vs Throw Away, US Airways. Bookmark the permalink.